The Palmer Johnson OpenSport yacht series could be ready in two years time. The OpenSport yacht can accommodate four guests plus one crew member. Palmer Johnson has secured an order for 30 of its innovative PJ 48 and PJ 63 Open Sport series yachts, in a contract valued at over €40million. The project is expected to be delivered over a two-year period, although confirmation of the delivery date is yet to be confirmed. The company is waiting to announce an ideal production location for the build, either in the US or Europe. Aimed at the US market, the majority of the models will be targeted for the South Florida region. Just like their SuperSport yachts, the Open Sport series features the Palmer Johnson innovative tri-hull. The shape of the hull offers a wide main deck for entertainment and lounging as well as allowing stability at rest and great performance at speed. Full details of the full design specification are limited but the PJ 63 features a 63m2 salon on deck, a 43m2 salon below deck and can accommodate four guests as well as a crew cabin. As part of the deal Palmer Johnson also landed the establishment of a Palmer Johnson Centre in Miami. 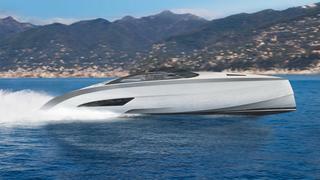 The hub will have a lounge and a showroom that will house the futuristic design spirit of the Open Sport yachts. 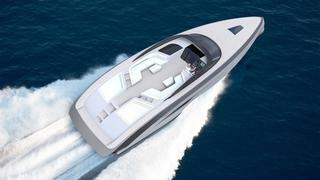 The series of smaller yachts is being presented as a luxury day/weekend yacht that will be ideal in hot spots such as Miami, Ibiza and Cote D’Azur. The latest deal comes after Palmer Johnson teamed up with Bugatti, the makers of the world’s fastest production sports car, to produce a series of carbon fibre day boats in December 2015.